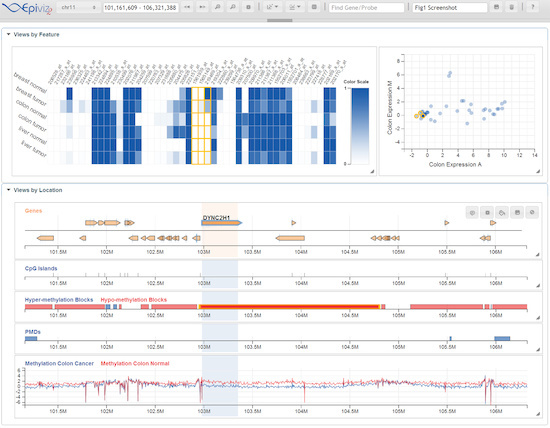 Epiviz is an interactive visualization tool for functional genomics data. 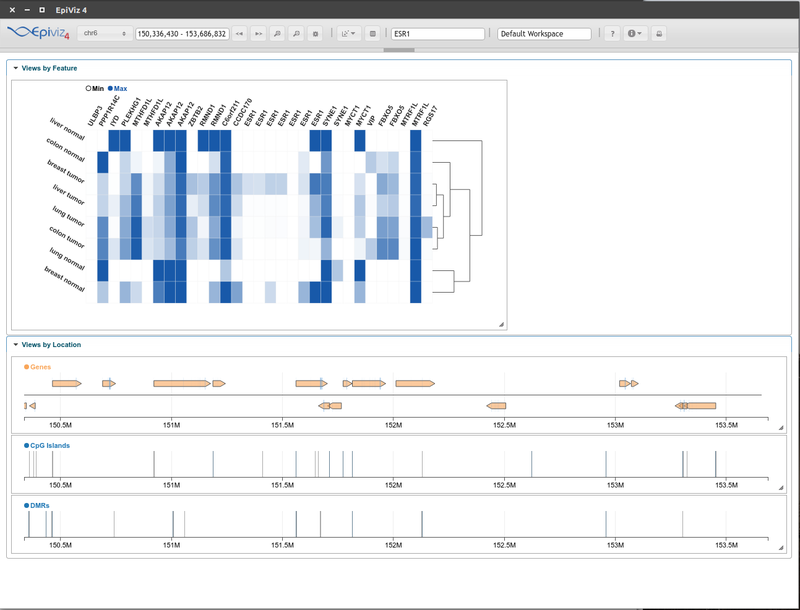 It supports genome navigation like other genome browsers, but allows multiple visualizations of data within genomic regions using scatterplots, heatmaps and other user-supplied visualizations. It also includes data from the Gene Expression Barcode project for transcriptome visualization. It has a flexible plugin framework so users can add d3 visualizations. You can see a video tour here. epivizR is an R/Bioconductor package that handles genomic data from R session to the epiviz app. 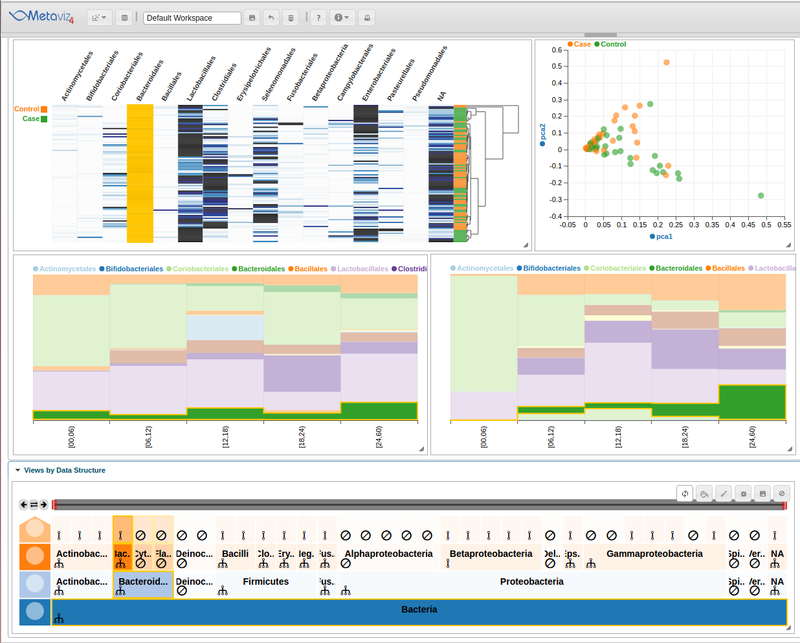 metavizR is an R package that handles metagenomics datasets from an R session to the metaviz app. epivizrData manages various bioconductor data types and makes them available to the epivizR and the epiviz app. epivizrServer is a server management package that creates and manages the websocket session between R and epiviz app.